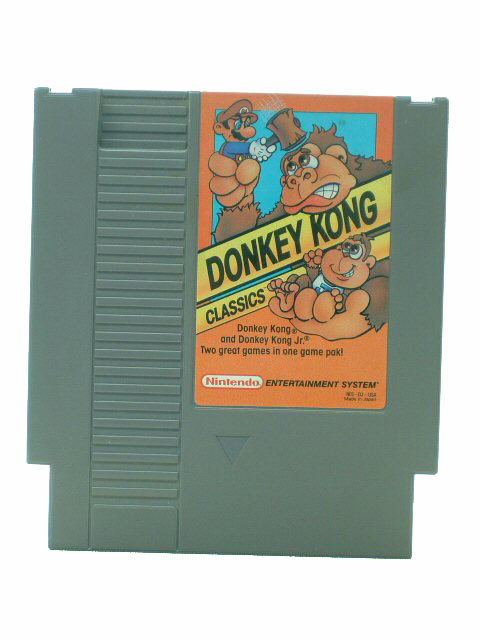 The Donkey Kong Classics is a pack of two Donkey Kong successes; one is the Donkey Kong and the other its sequel, Donkey Kong Jr. This compilation is basically developed for Nintendo platform. Direct Mario while playing Donkey Kong in this NES game to rescue his damsel-in-distress, Pauline. Whereas, while playing Donkey Kong Jr. you will need to control Jr. so that he can rescue his father who is captured by Mario. Play this Nintendo video game alone or two of you can play it simultaneously for a fun-filled experience. Choose from Game A or B to select the difficulty levels. The Challenging puzzles and multiple stages keep you glued to this Donkey Kong game for hours. Beginner or professional, the Donkey Kong Classics is suitable for everyone.